A couple of friends of mine have put together a great website. It is a blog website which showcases Toronto’s arts and entertainment, as well as culture and cause. 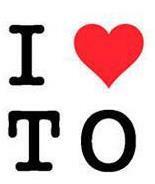 Toronto’s http://www.1loveto.com is a great place to kill some time. There is new interesting material uploaded daily. The members in charge showcase many Toronto artists who are putting in work and creating new magic through their mind-boggling creativity. 1 Love TO is more than just a blog. The movement has profound intentions. The website is designed to generate attention and inspire feedback to Toronto’s art and culture. People make beautiful things so they can share them with others. They want attention and feedback. It is a priceless concept to be able to share your opinion and is definitive when feedback is encouraged. 1 Love TO is truth being told in relation to Toronto’s development as an artistic community. It is a universal playground where communication is fast-paced. The concept “1 Love” is to stress that people of any place, face, or race are to be welcomed and considered with total respect. Help 1 Love TO leads by example and encourages the growth of a beautiful thing. Maybe you have an interesting story about something in Toronto that you feel deserves universal attention. Contact 1 Love TO with your idea (bottom left on the homepage). Anything’s possible. I am so happy for your great appreciation of Nick’s review. I will be sure to pass it on to Nick Goodwin right away. P.S. Do not forget to keep reading Donna Magazine. You may be also interested in purchasing a paperback copy or a download of my book Ugandan Travelogue. You can buy it at: http://store.lulu.com/kakonged. For a limited time only there is a 10 per cent off coupon. Enter JULYCONTEST10 when you purchase and you will receive 10 per cent off on everything you buy.